Ride Control air spring kits fit popular leaf sprung vehicles, such as 1/2 ton and mini pick up trucks, full-size, mini-vans and SUVs. Ride Control air springs provide up to 2,000 pounds of leveling capacity* - never exceed manufacturer's recommended gross vehicle weight rating. 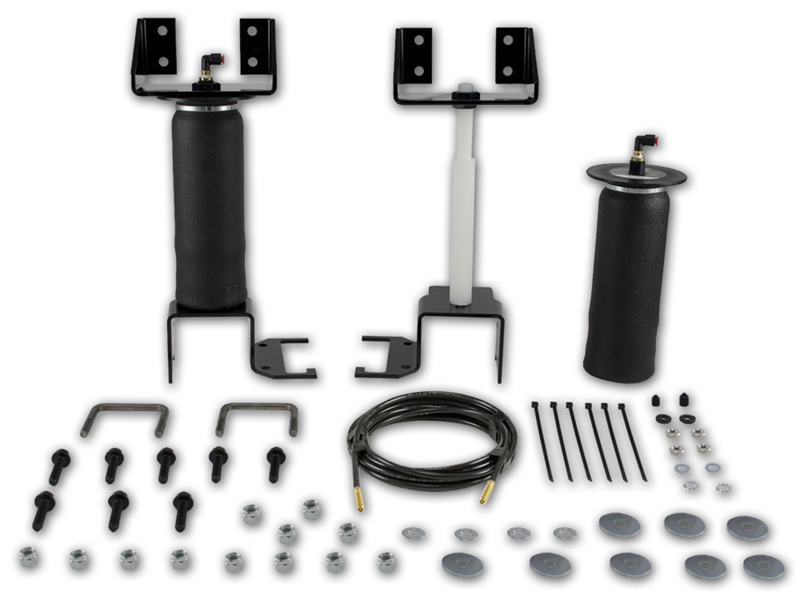 Air lift Ride Control kits can be easily inflated/deflated on-the-go. For convenient air spring control at the touch of a button add a Air lift on-board compressor system.